I was going to post more on my John class last week but faced with an intensive course on feminist theory this coming week on top of my regular classes, I'm not sure I'm going to get to post this week either so I thought I would give you a quick link to a film I saw on Saturday. 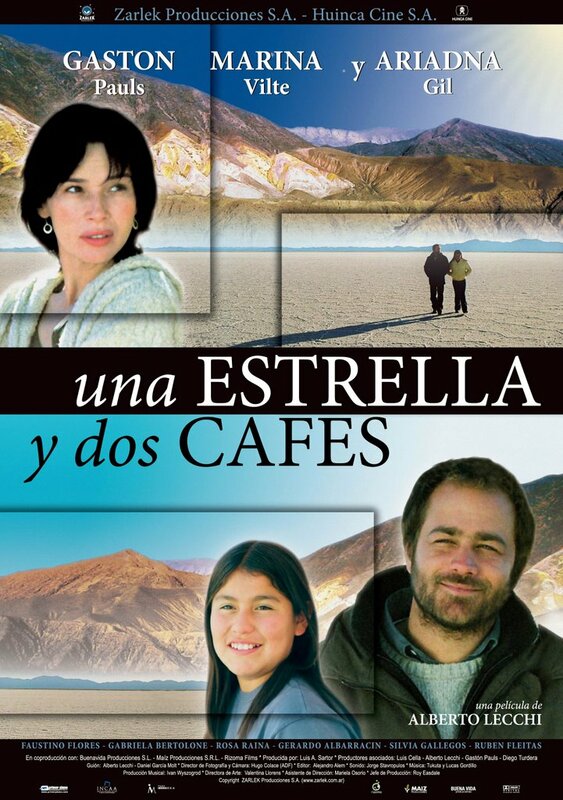 Una estrella y dos cafes (One star and two coffees) is an Argentine film set in the far north of the country. A simple, gentle tale (what a surprise choice!) of a girl and two visitors to her village of Purmamarca. Some nice digs at the town's backpacker visitors; and an ongoing joke in which the whole town conspires to stop Pedro drinking by claiming that all the wine has been sold, or that Tomás, the other drunk, has beat him to it. Check out the website where you can listen to music from the film, see shots of the stunning scenery as well as watch the trailer and a few scenes (with subtitles). Recommended viewing if it reaches where you are.